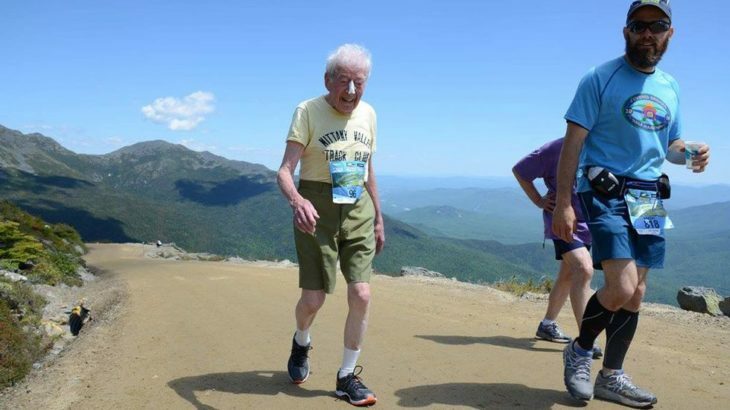 The first time 97-year-old runner George Etzweiler completed the race up the northeast’s tallest peak, Mount Washington, he was 69 years old. Despite having a pacemaker, the State College, Pennsylvania resident continues to compete in the grueling 7.6-mile race up nearly 4,700 feet of paved road, breaking his own record each year for oldest finisher. Inspiring. There’s simply nothing else that can be said.